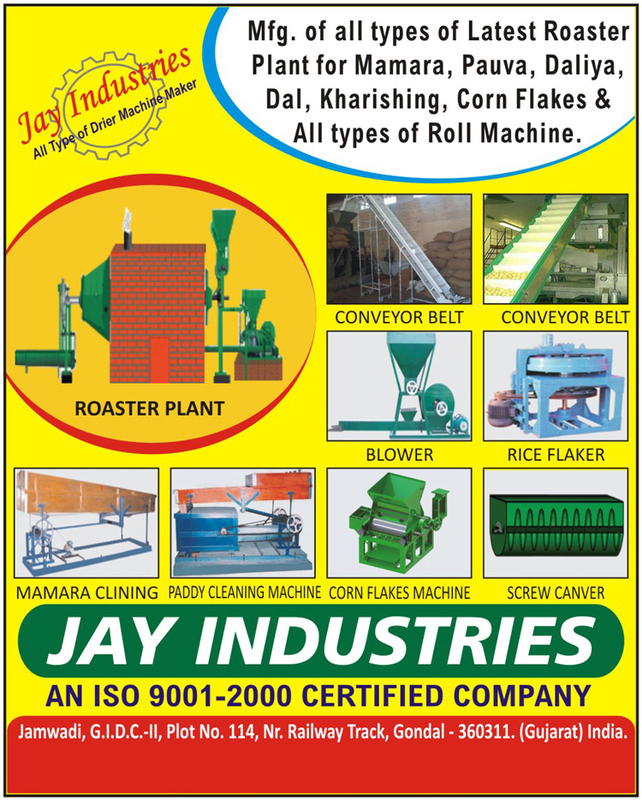 Roll Machines, Roasters, Conveyor Belts, Blowers, Rice Flakers, Mamara Clining, Paddy Cleaning Machines, Corn Flakes Machines, Screw Canvers, Mamara Roasters, Pauva Roasters, Daliya Roasters, Dal Roasters, Kharishing Roasters, Corn Flakes Roasters as an active Manufacturer, Supplier, Dealer, Distributor, Trader and Seller etc. (*Importer/Exporter/Service Provider). © Copyright 2019. 99foodprocessing.com, All Right Reserved.